Six new retailers are due to open in Circus West Village, part of the Battersea Power Station redevelopment, later this year. Circus West Village is set to gain an independent cinema, an artisanal bakery, a craft beer brewery, a Royal Warrant-holding florist and flower school, a restaurant championing modern Indian cuisine, and a Japanese restaurant where diners can watch agog as the noodle machine works its magic. Chief Executive at Battersea Power Station Development Company, Rob Tincknell said: "Battersea Power Station is fast emerging as one of London’s newest and most exciting food and drink destinations." Tincknell added: "We are delighted to welcome to the line-up several more fantastic operators that share our passion for creating a new, unique community-focused destination for London." 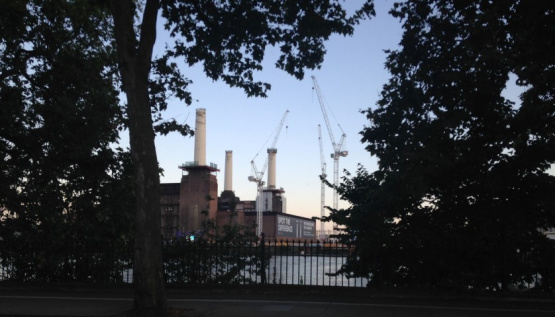 The Battersea Power Station development is not only supporting entrepreneurs and smaller businesses but it is also enabling the building of new homes, and many residents have already moved in. Battersea Power Station, an iconic London landmark and towering reminder of the city's industrial past, is being resurrected into a multi-use complex which should serve the wider Battersea area well. The project is due to be completed by 2020.